Argentina's former Vice President Amado Boudou was sentenced on Tuesday to five years and 10 months in prison for "bribery and business dealings incompatible with public service." Others were also convicted of wrongdoing, including Nicolas Ciccone, the former owner of the printer. 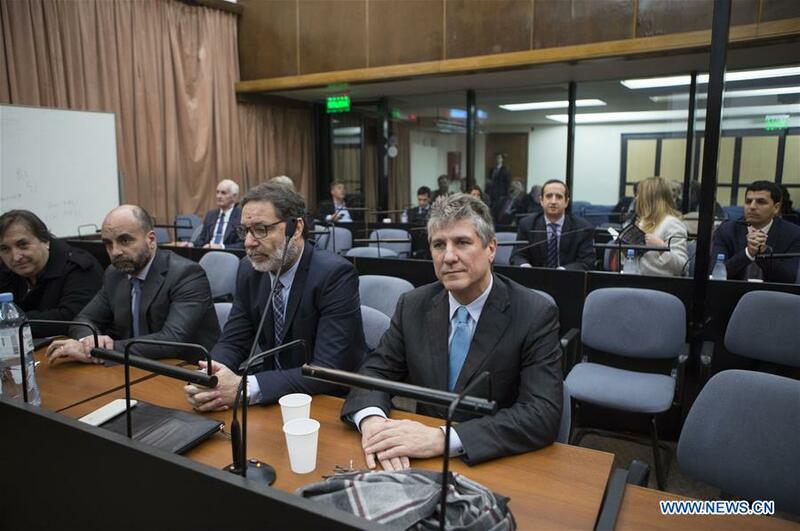 In his defense before sentencing, Boudou denied the allegations. "Politicians who follow the path of the powerful, walk without problems. Politicians who decide to transform reality are persecuted, at first by the media and then by the legal system," said Boudou. The head of the national anti-corruption agency, Laura Alonso, hailed the "historic trial," saying "for the first time in Argentina a vice president has been convicted." "The judicial branch is free to punish corruption," she added.